60 years is a long time to be in exile. It’s time to turn this around. Through taking some time for yourself, you can help raise awareness of Tibet and let Tibetans know you support them. Whether you practise meditation regularly or have never meditated before, join us for our fourth annual Meditate for Tibet, which also marks the 60th year of Tibet Relief Fund’s work. Unlike many fundraising challenges, you don’t need to physically train for months in advance or travel far from home. This can be done in the comfort of your living room, whilst giving you peace of mind and helping you to improve your own mental wellbeing. 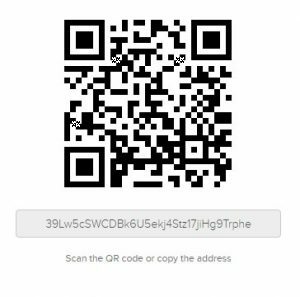 All you will need to do is download our four brand-new Tibet-focused guided meditations, making a donation of your choice to support Tibetans. You can also choose to receive a CD at checkout if you prefer. You can also buy some wonderful essentials, or purchase a full meditation kit from our Enlightened Gifts shop (including the guided meditations). 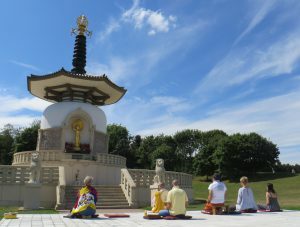 You can practice these sessions at any time of year, but we would like to ask you to join our mass meditation at 3pm on Saturday 6th July 2019, to connect with other people who will be meditating at the same time to focus positive energy on Tibet. You’ll be helping to raise vital funds for our work with Tibetans in India, Nepal and Tibet – providing essential healthcare and education and helping Tibetans to build a brighter future. Can you get a group together? Great! You can make your event as large or small as you like. To help you with your event we’ll send you a FREE CD of the guided meditations, plus fundraising ideas and advice. Are you a company? Why not run a lunchtime sponsored session for your employees? This has the double benefit of improving people’s wellbeing and your corporate social responsibility! 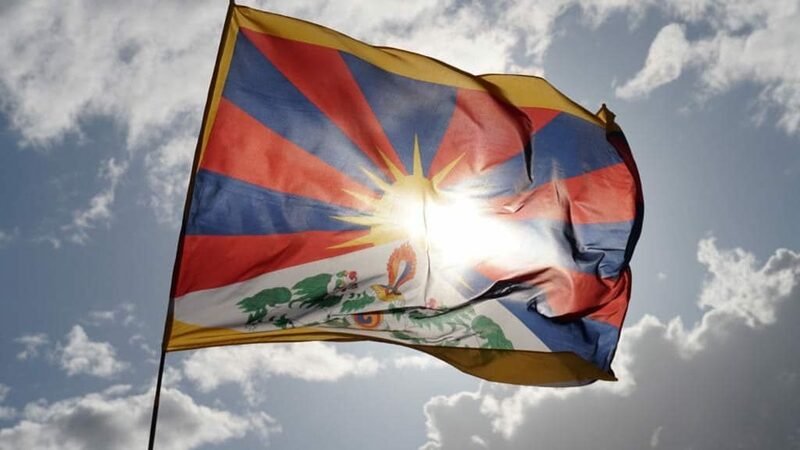 Our aim when we launched Meditate for Tibet four years ago, was to provide a sense of people showing their solidarity for Tibetans through a peaceful event. By meditating together we are all creating a new type of fundraising challenge. One which isn’t about the pressure you place on your physical endeavours, but where you collectively make a difference through your inner thoughts. Our goal is to give you the opportunity to raise the level of consciousness, and spread awareness of the support you can give to Tibetan people in need. As part of our efforts to raise awareness for the 60th year of our work with the Tibetan community, you can make this year’s meditation the most meaningful yet! It’s time to turn this around!